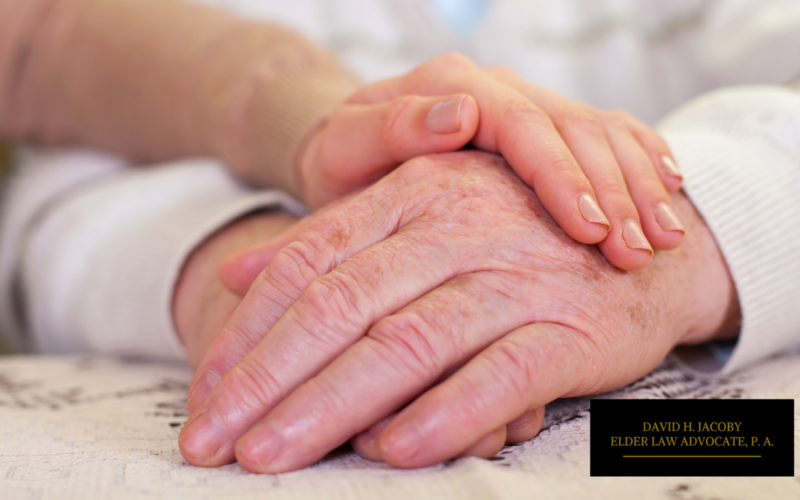 How Do You Protect Your Florida Loved Ones from Elder Abuse? Elder abuse can occur at any time. Unfortunately, this crime is on the rise in America. It specifically impacts Florida seniors who are over sixty years of age. Studies show that right now one in ten of these Older Americans will suffer elder abuse at some point in their lifetime. More than half a million cases of elder abuse are reported each year, yet millions go unreported. There are numerous reasons why this abuse is not reported but often it is because the senior is reliant on the abuser. In fact, most abused seniors know their abusers personally. In these instances, the seniors face abuse from their own caregivers and even family members. Elder abuse can occur in many different forms, including physical, emotional and financial. It is unfortunately quite common. Many times, elderly seniors have trouble speaking openly about elder abuse. Establishing open communication is critical to ensure your senior loved ones are protected. Let us share a few questions you can use to ask the senior to start a conversation to determine if any elder abuse is occurring. 1. Can you explain to me how these injuries happened? Accidents happen. Elderly people trip, fall and get injured quite easily. However, any bruises, broken bones or other injuries should always have a valid explanation. If the senior cannot provide a clear explanation on how an injury has occurred, there is a possibility physical abuse is at play. Whenever you visit your loved one it is important to survey him or her for injuries. Do not hesitate in asking the caregiver how they occurred. Any suspicious responses, blatant lies or unexplainable injuries should be seen as a red flag. 2. Is there a reason why you did not bathe today? Lack of proper hygiene and unsanitary living conditions are key signs of neglect. Just like young adults, elderly seniors should bathe every day and wear clean clothes, sleep in clean beds and wear suitable clothing for the weather. While there may be a reasonable explanation for the lack of proper hygiene, the senior, when able, or the caregiver should always make sure cleanliness remains a priority. Unless there is a valid hazard that prevents your loved one from being clean, there is no excuse as to why he or she would not be. 3. Do your dietary requirements need to be adjusted or updated? A sudden loss of weight, malnutrition or dehydration occurs only for two reasons. One, dietary needs have changed such as the senior can no longer eat solid food, is taking medication that requires an intake of more fluids, or has a specific medical diagnosis. Second, the senior him or herself or the caregiver is neglecting basic needs. If you notice your loved one has any of these unusual symptoms without explanation, be sure to address them as soon as possible. By asking whether or not dietary requirements need to be adjusted you can help determine the next steps. 4. Have you decided to make changes to your finances lately? If there have been significant changes to the elder’s financial accounts and you suspect a third party has negatively impacted the senior, do not wait to ask him or her. Any suspicious changes can be cause for concern. This may include significant withdrawals, sudden changes to financial structures, missing valuable items, suspicious changes to estate planning or troubling financial activity. This June, we join with the international effort to bring awareness to elder abuse through National Elder Abuse Awareness Day. For more information about how you can prevent this from happening to your loved ones or any elder law planning issues, contact us today.